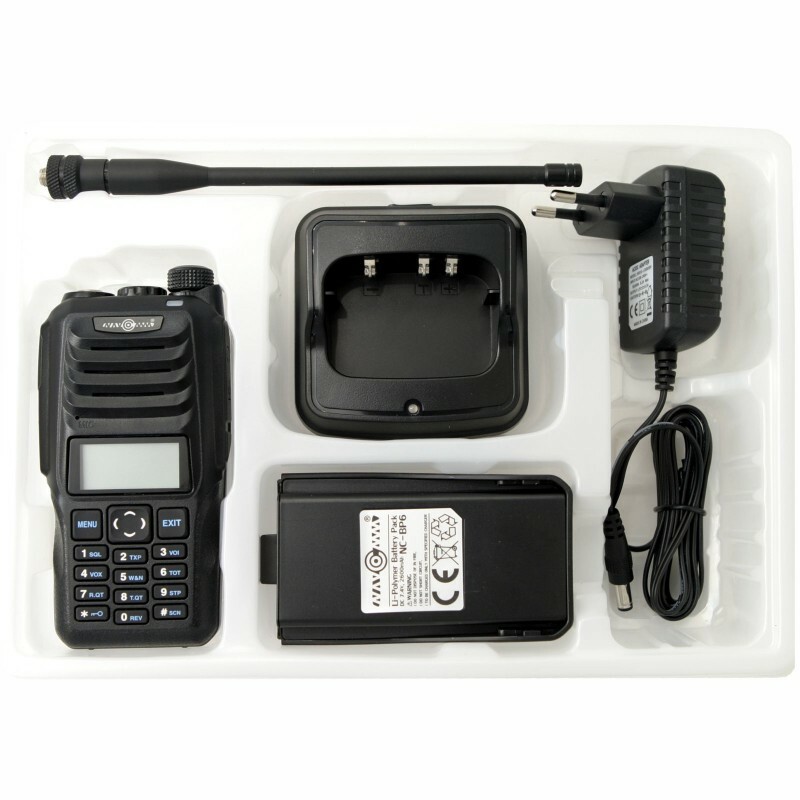 NC-900 is the next generation of NAVCOMM dual band, handheld transceivers. Compared to previous generation (TK-890), NC-900 offers higher transmitter power (10W) and 60% more of battery capacity (2600mAh), all without significant changes in external dimensions. Channel spacing 12.5 kHz (NARROW), 25 kHz (WIDE). 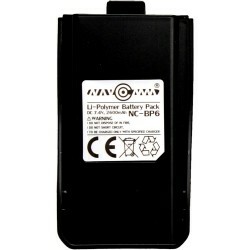 Moreover, the new design has a number of other minor changes including a larger number of memory cells (2x128), additional standard Selective Calling (2TONE), three-color LCD backlight (blue / orange / purple) with the ability to assign a color to the operating mode, the additional programmable key , powerful alarm functions, as well as a built-in LED flashlight. 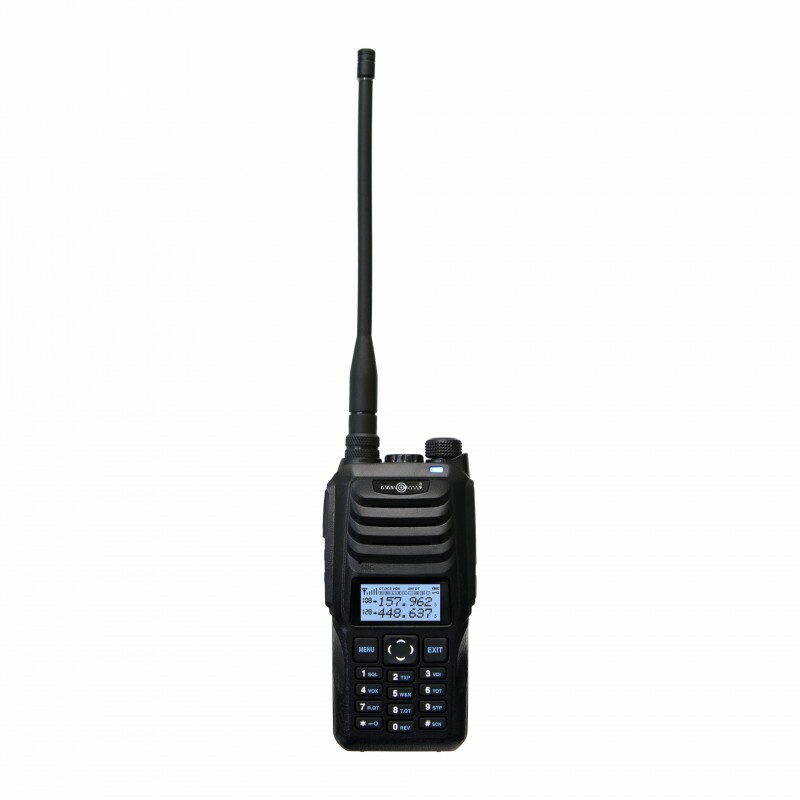 Like its predecessor model NC-900 enables reception and transmission in two bands VHF (136-174MHz) and UHF (400-480MHz). Double are also some of the other systems of the radio station which makes it a very versatile tool for radio communications, both in the air, on land and sea. 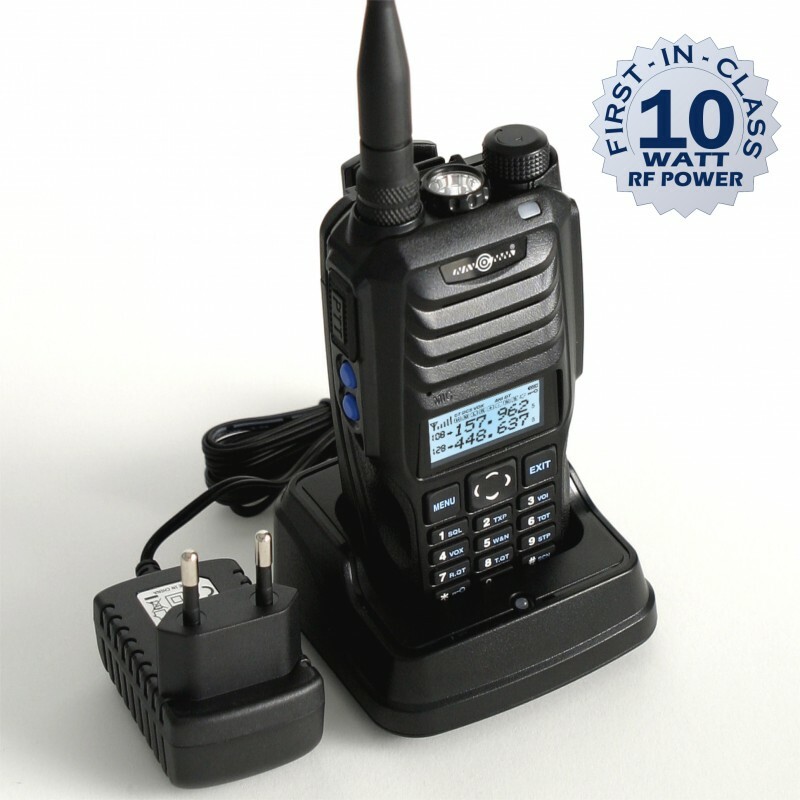 One of the most innovative features in the new model is a dual mode of operation of the transceiver and display, allowing to operate in both bands independently on two different frequencies (transmission / listening on the main frequency + signal at the auxiliary frequency) with a dedicated button for switching frequencies homepage. In addition, it is also possible to set the frequency of the transmit and receive in two different frequency ranges (eg. 145.025MHz and 445.750MHz RX TX). Model NC-900 also has a number of features that facilitate the identification and grouping (tone 1750Hz, DTMF ANI, CTCSS / DCS), maintenance (lock transmit on a busy channel, a voice confirmation of an operation, start transmitting voice, automatic / manual keyboard lock) and programming (function clone settings, programming from the computer via USB or RS). 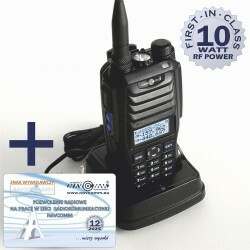 There are also functions to increase security (function MAN DOWN) and usability (76-108MHz FM radio, flashlight, timer). The model NC-900 has most of the functions assigned to keyboard shortcuts so you do not need to pierce each time by a multi-level menu. Backlit LCD screen outside alphanumeric displays the icons confirm the status of most built-in functions. Model NC-900 is comfortable in the hand and ergonomically placed buttons allow you to handle all functions with one hand. The housing of this model is made of aluminum and coated with a thick layer of hard plastic which significantly increases mechanical resistance and waterproof and Chicken-resistant (IP-55). For NC-900 has created a whole range of optional accessories to adapt the model to specific conditions of use. 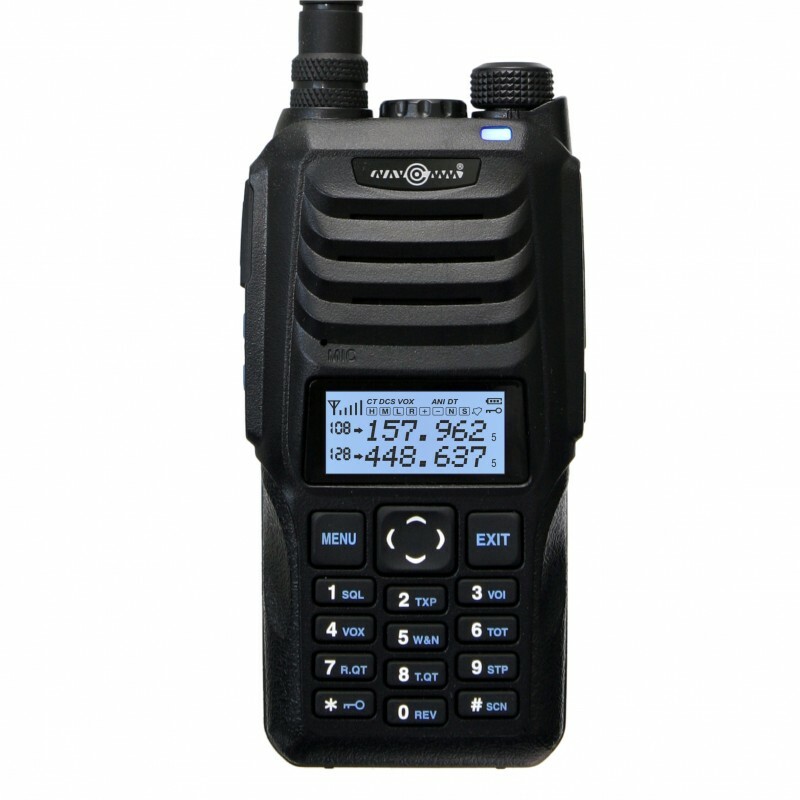 NC-900 is a feature-packed radio for durable and reliable construction. Radio bardzo dobrze wykonane, ergonomiczne, i proste w obsłudze. Wytrzymałość aku jak na mój gust wyśmienita. Nasłuch wiele razy dziennie, często jest włączone na długi czas, a niezbyt częste nadawanie, to daje w rezultacie wielodniowy okres pracy. Co do czułości to nie mam porównania, próbowałem nasłuchu ISS kilkukrotnie na antenie B88S i jakoś to słabo wychodzi..no ale prawdopodobnie to nie wina radia. 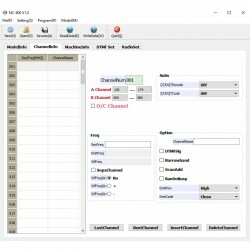 Dedicated, free application for radio programming NC-900 via a USB or RS cable.